A contemporary gothic from an author in the company of Kelly Link and Aimee Bender, Mr. Splitfoot tracks two women in two times as they march toward a mysterious reckoning.Ruth and Nat are orphans, packed into a house full of abandoned children run by a religious fanatic. To entertain their siblings, they channel the dead. Decades later, Ruth’s niece Cora finds herself accidentally pregnant. After years of absence, Aunt Ruth appears, mute and full of intention. She is on a mysterious mission, leading Cora on an odyssey across the entire state of New York on foot. Where is Ruth taking them? Where has she been? And who—or what—has she hidden in the woods at the end of the road? In an ingeniously structured dual narrative, two separate timelines move toward the same point of crisis. Their merging will upend and reinvent the whole. 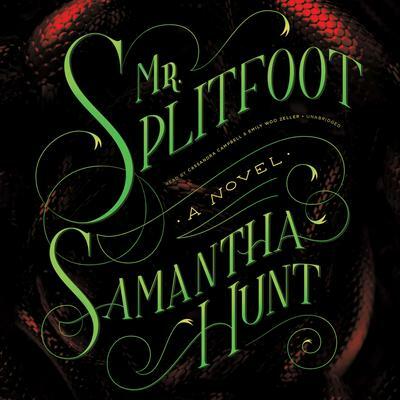 A subversive ghost story that is carefully plotted and elegantly constructed, Mr. Splitfoot will set your heart racing and your brain churning. Mysteries abound, criminals roam free, utopian communities show their age, and the mundane world intrudes on the supernatural—and vice versa.